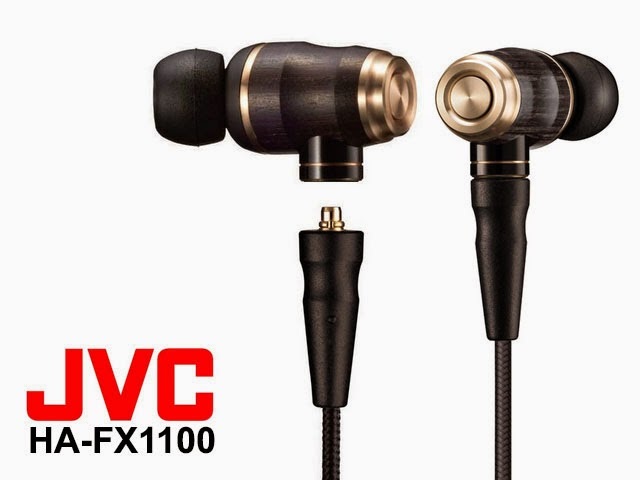 JVC is releasing a new woody called HA-FX1100 as the upgrade model over their current woody flagship, the FX850. They looks pretty much identical on the outside as well as the overall construction, except perhaps the use of a darker wood on FX1100's wooden casing and 6N OFC cable (as oppose to SPOFC on FX850). One thing that will be noticeable is the price - compared to the FX850 with its street price around US$300 or so, the new FX1100 is priced around US$500. That's quite a price jump. Not sure what kind of magic JVC is putting into the new model, but it will have to be really good.